A sunny weekend in April and, for once, it’s not the motorbikes hogging the attention in Matlock Bath. 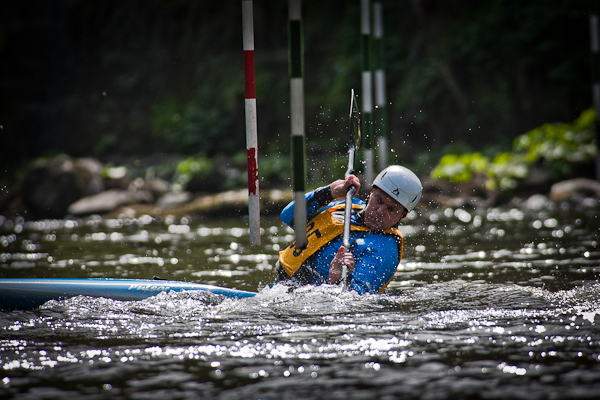 This year more than 150 kayakers and canoeists from across Britain descend on the town and the River Derwent rapids for the annual Division 2/3 Slalom event, hosted by Matlock Canoe Club. 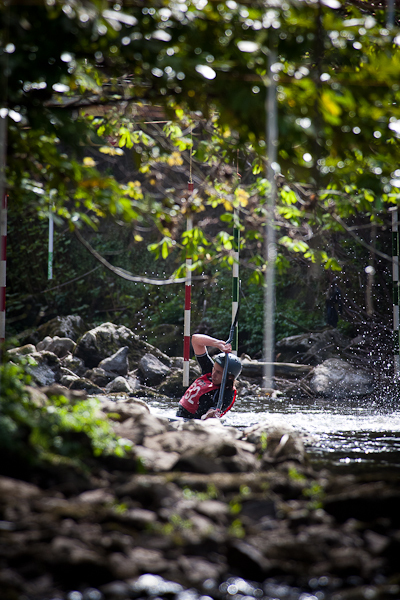 Add families, fans, merchandise, food stalls and curious spectators and the event really swells to festival proportions above the course’s steep banks. 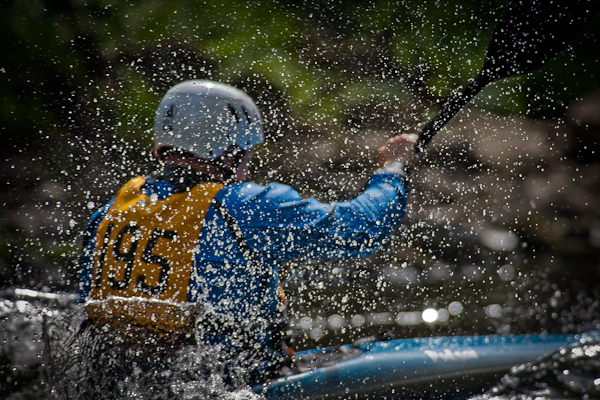 Each paddler, as the sport’s exponents are known, battle it out not just for the honour of winning the event but also for all-important national ranking points and, ultimately, promotion to a higher division. 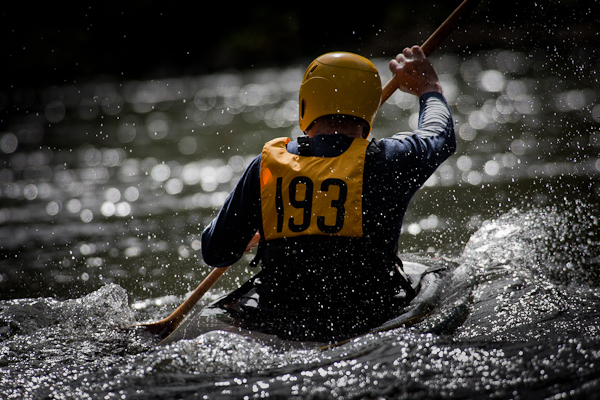 Leading the way in this year’s unseasonably warm competition conditions was Andrew Field, of Reading Canoe Club, who took first place in the Division Two men’s K1 (kayak) event on both Saturday and Sunday. 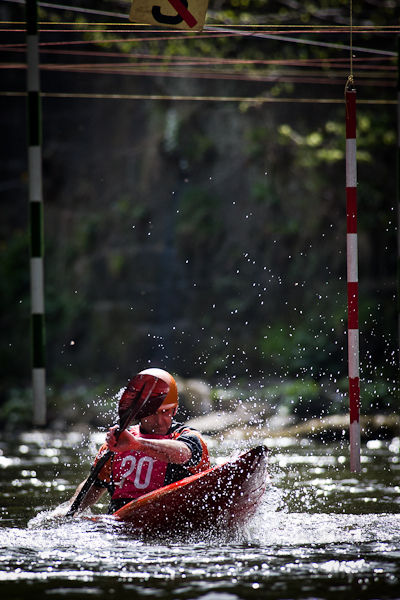 Manchester’s Kay Bradshaw and Jutta Kaiser of Team HF took the women’s Division Two K1 events on Saturday and Sunday respectively. 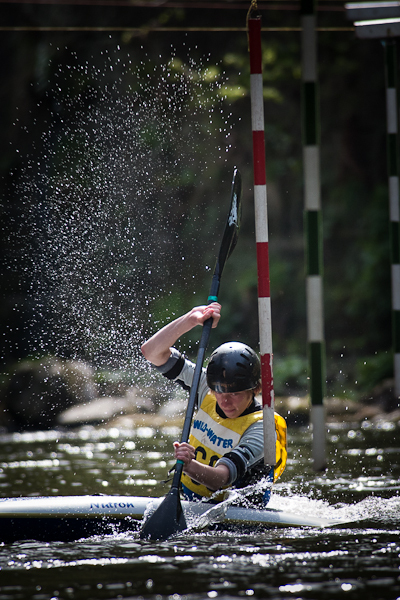 A number of Matlock paddlers also put themselves in contention for the top spots, including Helena Du Roe, who took a third and then a second place in the women’s Division Three K1 event. 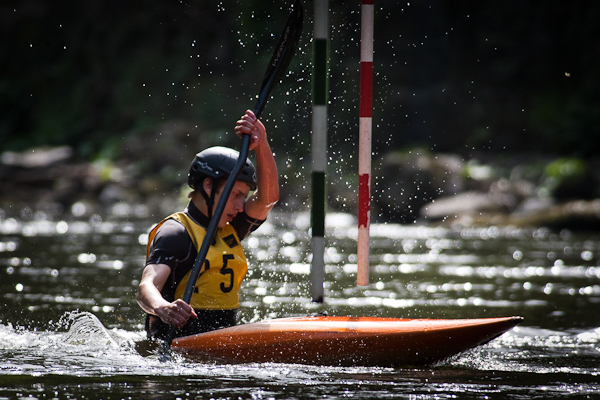 However, faster than anyone else over the course was Matlock’s Andrew Thomas, who was the winner of the officials’ race. No surprise there, perhaps. Andrew designed the course.